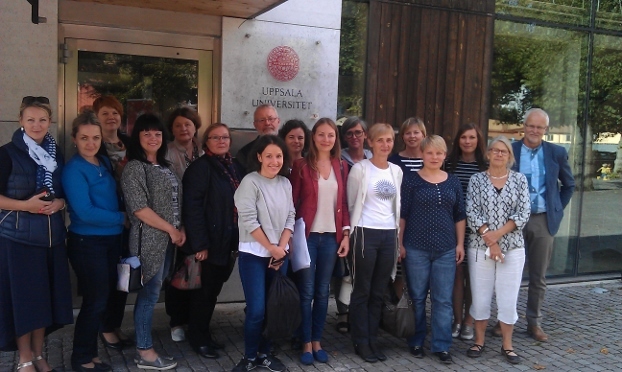 This is a multidisciplinary study with six universities and some twenty schools in five countries in the Baltic Region that focused on the young learners’ use and learning of the English language. The participants of the project were Daugavpils University and Daugavpils schools: Daugavpils Saskaņas Basic school, Daugavpils Basic school, and Daugavpils Vienības basic school and Daugavpils Russia school - Lyceum. Among the partner institutions were Uppsala University, Campus Gotland, Sweden, Stockholm University, Tartu University, Estonia, Daugavpils University, Latvia, Vytautas Magnus University, Kaunas, Lithuania and Immanuel Kant Federal University of Russia in Kaliningrad. The focus of the study were 12-year olds in the Baltic Region and their English language and the differences in their interlanguage which are of significance for their written proficiency in English and successful lingua franca communication. The focus was on the interlanguage of Estonian, Latvian, Lithuanian, Russian and Swedish learners of English. The research focused on the following questions: What are the specific productive patterns of young learners’ second language production in these five countries? What intercultural aspects, societal factors and native language interference could explain the identified variation in learner language?